CloseUp Images can use your favorite photo and turns it into a personalized jigsaw puzzle. Personalized puzzles are a great gift for kids and adults. What a unique way to celebrate special occasion like birthdays, family reunions, holidays, graduation or retirement. Need a unique way to ask someone to prom? A way to immortalize your favorite pet? Reward the kids for a great report card? 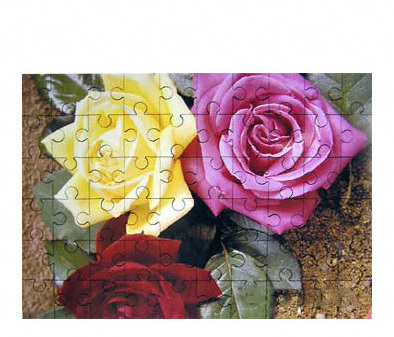 Let CloseUp Images create a custom photo puzzle for any occasion. Want to personalize you puzzle with a special message? Text can be added at no additional charge. Relive that special occasion while you are assembling a puzzle with a custom photo of your choice. Unisub® Jigsaw Hardboard Puzzle, 60 pieces, Rectangle, 6.81" x 9.81" x .125", 1/8" high density, hardboard with black edges. Comes with a clear plastic presentation case.